I love DIY beauty products because A) It saves money and B) you can customize your treatment. So when I read about the benefits of prepooing, I created the perfect treatment for me. Prepooing is the act of conditioning your hair 20 – 30 minutes prior to shampooing. There are several reasons people do this. Curly hair can be coarse and brittle. Prepooing delivers a blast of moisture to your scalp and hair. It also protects your hair from being stripped of its natural oils, when you do shampoo. And, it untangles your curly hair. This is especially helpful for me because I often times do not brush my curls. There are many products on the market that can be used as a prepoo. Many of them are conditioners and some of them are oils like Coconut, Olive and Grape Seed. I decided to stick with oil because it is less expensive and they are natural. A few weeks ago I read a blog about Peppermint Oil and how beneficial it is for your hair and scalp. 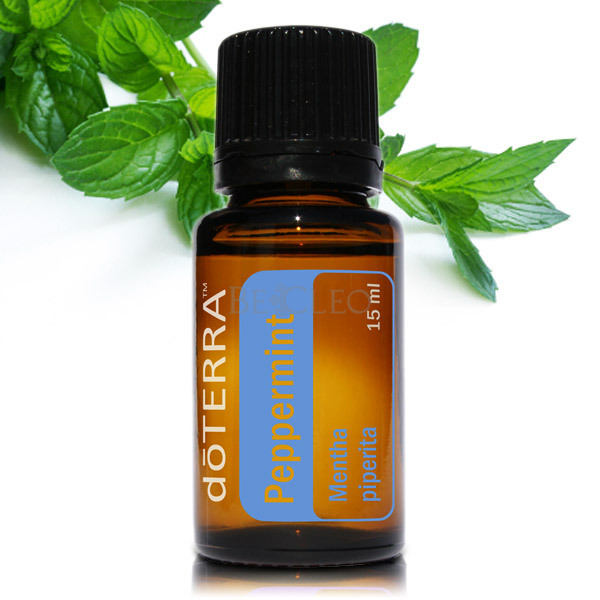 Peppermint stimulates your scalp by increasing blood circulation and therefore it promotes hair growth. So, that’s when I decided to kill two birds with one stone. I created a mixture of coconut oil (known to soften and condition hair) and peppermint oil (I use DoTerra) for my prepoo. The base is coconut oil (a spoonful) with 6 or so drops of peppermint oil. 30 minutes prior to my shower, I will rub it into my scalp and hair (roots to end). I have also slept with this mixture in my hair – for extra moisture. My scalp feels tingly and the smell is so refreshing. I love the results! Try it out and let me know what you think. I loved the results of this simple, moisturizing and detangling. I did substitute the peppermint oil for orange oil since that’s what I had. I really loved this! I left it on overnight, washed with castile soap and my hair feels super soft. I substituted the peppermint oil for orange oil though since that’s all I had. Yes – so simple and feels so nice and refreshing. I am glad you tried it and that you had positive results! I am sure it can be easily modified – I’ll have to try the orange oil! Thanks or sharing! Thanks for sharing the recipe. It is so easy and so refreshing plus the results are GREAT! Can I maybe make my own peppermint oil or use dried peppermint in this? Hi Tasha! Thanks for your comment. I am no expert in making essential oils and I would hate to steer you wrong… If you know what you are doing, I do not see why not. When you say dried peppermint, I assume you are talking about the actual dried / crushed plant leaves? I am inclined to use the oil because the leaf may cause scratching or itching to your head, rather than soothing? I also feel the oil is easily absorbed into the scalp and hair shaft. Perhaps test it on your arm first, to make sure it is not too abrasive and that you in deed get the tingling effects felt by the oil. Hope this helps! Thanks for the shout out! I love this pre-poo and its super simple to do.